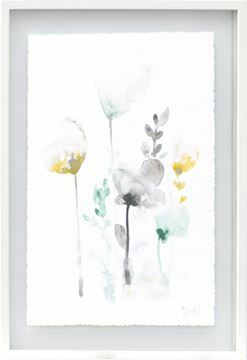 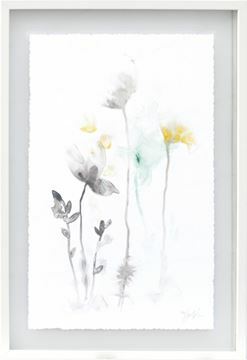 Delicate water colour botanicals in a light and airy abstract style. The gray and yellow tones are highlighted with just a touch of green on a white ground . 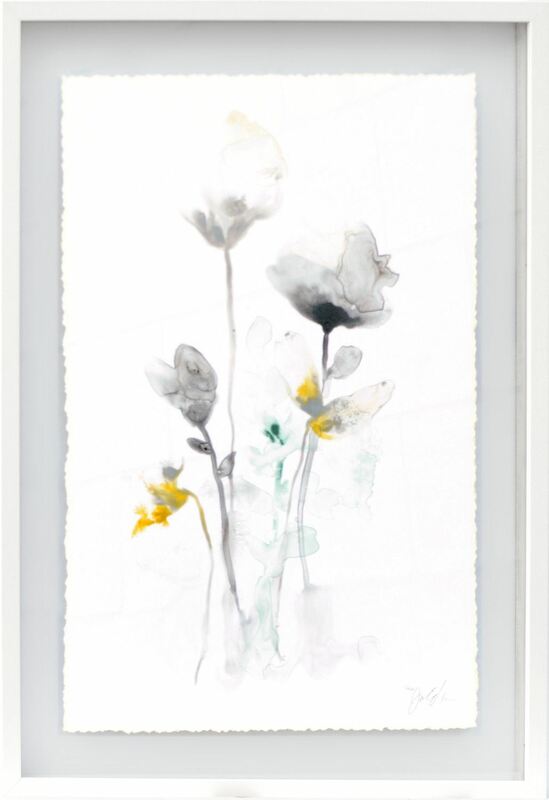 Each is sandwiched between two pieces of glass and framed in a clean white profile.